My family knows I love to throw parties. That includes any type of shower. Hosting parties is what I love love love to do. I have never photographed or done tutorials on any of these parties for my blog and I have no idea why I haven’t. 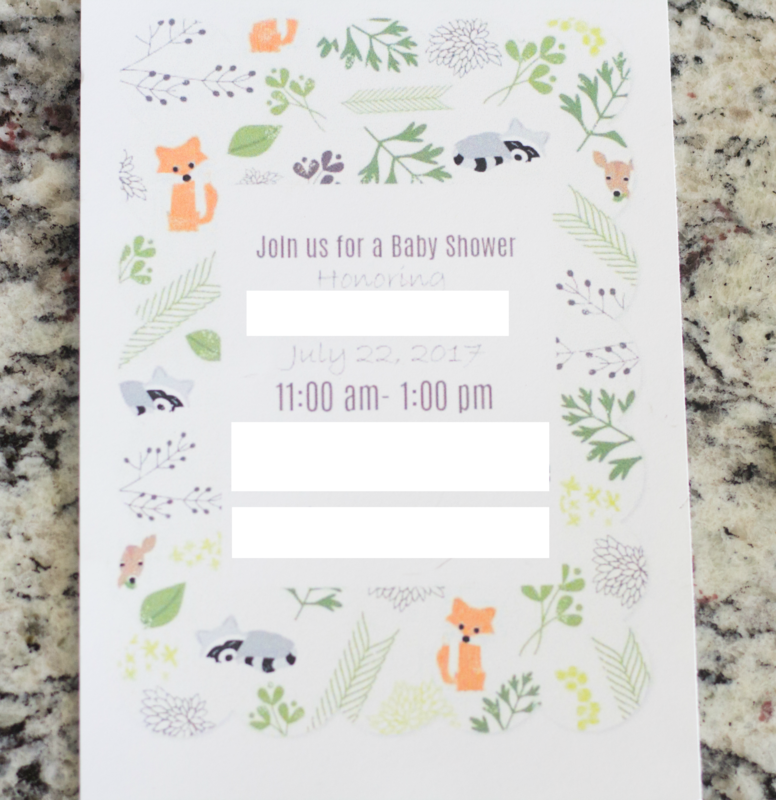 I have posted Aria’s parties (here & here), but now we have the perfect party house and I jumped at the chance to throw a Woodland Creature Baby Shower. The first thing to any party is the invites. 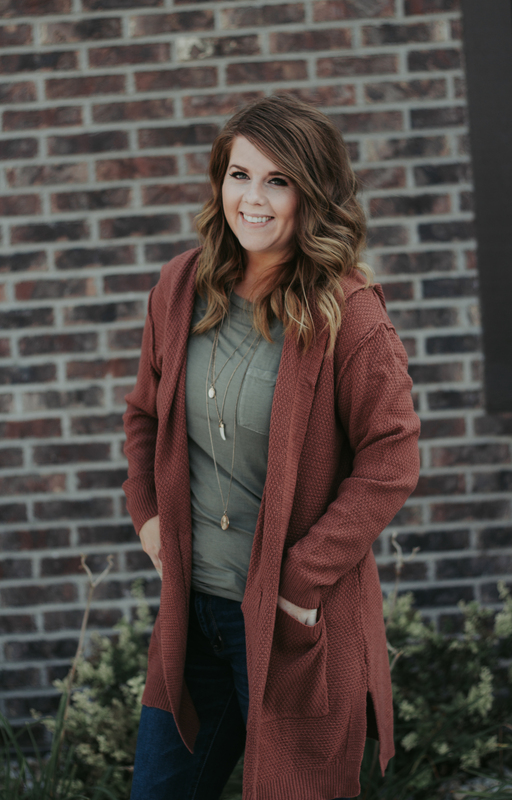 You can order some from places like Minted, or Shutterfly etc. Or you can make your own. I found this template on google and just filled in the info with PicMonkey. It was as easy as that. You can send off the order to be printed or print it yourself. If you print it yourself make sure you have good quality paper and a decent printer. Those things can waste your time and your money. Since this party was semi last minute I had to take the easy route and draw up a Pinterest board and make things myself. I like to map out my displays and what they need to be properly decorated. The dollar store is also a great option for last minute parties. 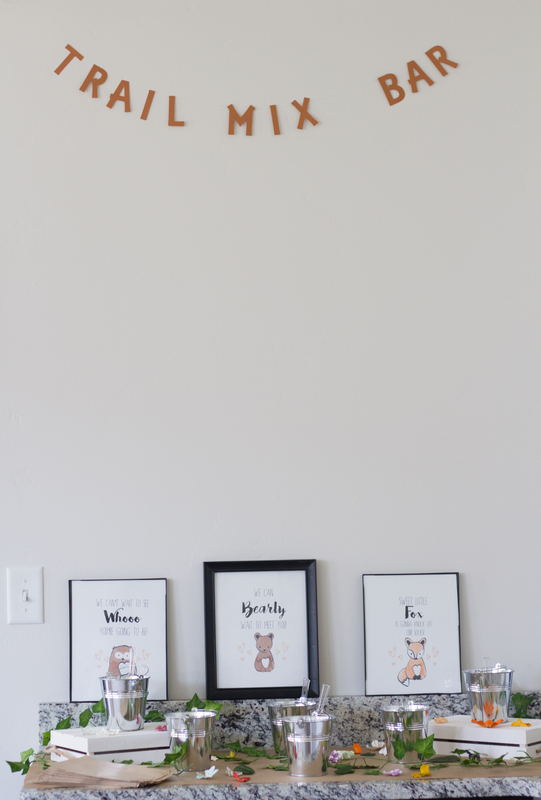 I used my Cricut to cut out these cute banners and just attached them to fishing line and hung them where I needed them. 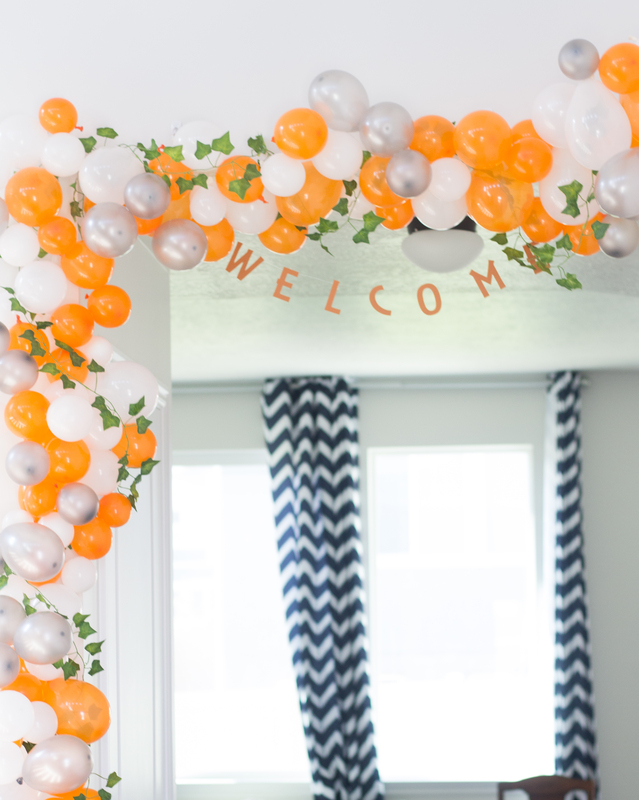 I wanted to do an amazing balloon garland for the entrance to the shower. Brandon and I researched a bit but just flew by the seat of our pants. I used a million balloons, fishing line, command hooks, and double-sided tape. Afterwards, we added some vines. If you’re on a tighter budget go to yard sale sites or borrow decor from friends. 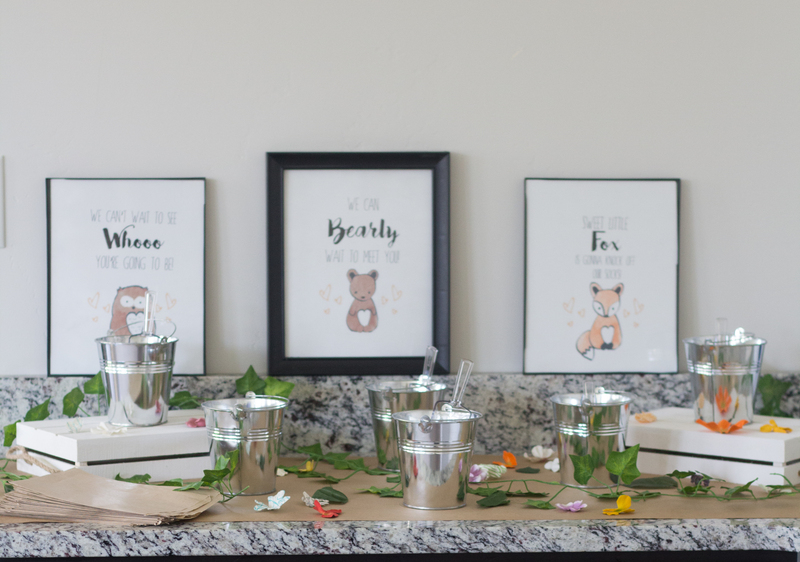 My friend Sarah had thrown an adorable Woodland Fairy party for her daughter and had some decorations I could borrow for our Woodland Creature Shower. Save on Crafts also have some really inexpensive decor items. I love photo booths, and areas to take pictures of guests. Not everyone is a fan, but moments like this need to be documented. As a blogger, we document pretty much everything. 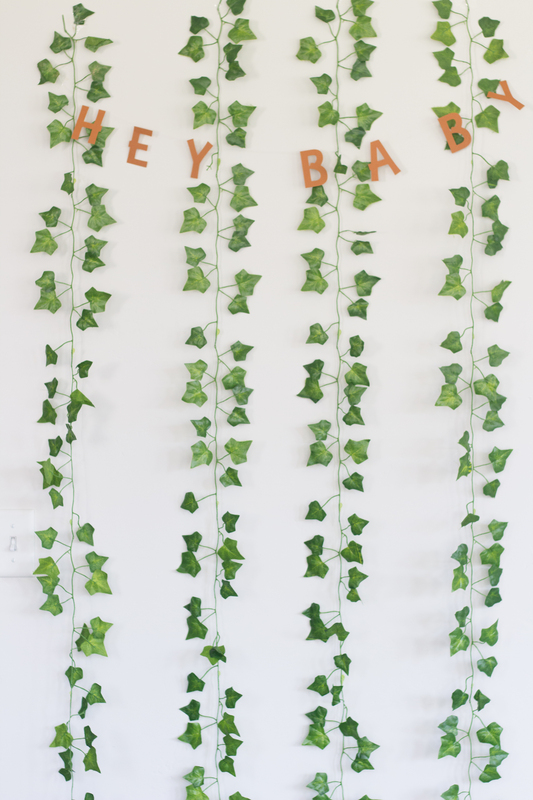 I just cut another banner out and used some ivy vines as the backdrop. After mapping out the decor I map out the food. I decide the food around the theme and the guest of honor’s diet. There will always be very kind party guests that bring food. Always plan space for those amazing dishes. I like to plan for at least two to three extra food items. Safest food is always a chicken salad sandwich without almonds or nuts just in case of allergies. 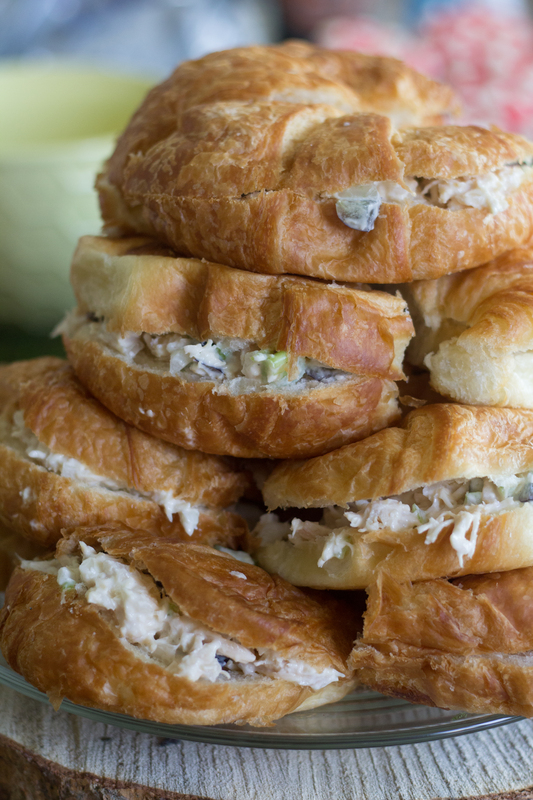 I have an amazing chicken salad recipe that is always a hit. You can also substitute chicken with chickpeas for a vegetarian option. We had some of those for the shower too and they were delicious. Mix everything together. Spread on Sandwich roll or Croissant. Woodland Berries and Yogurt was another delicious addition to the party. You will have party guests that like to watch what they eat (carbs, fats, sugars) so it is always nice to have a healthy option for them. 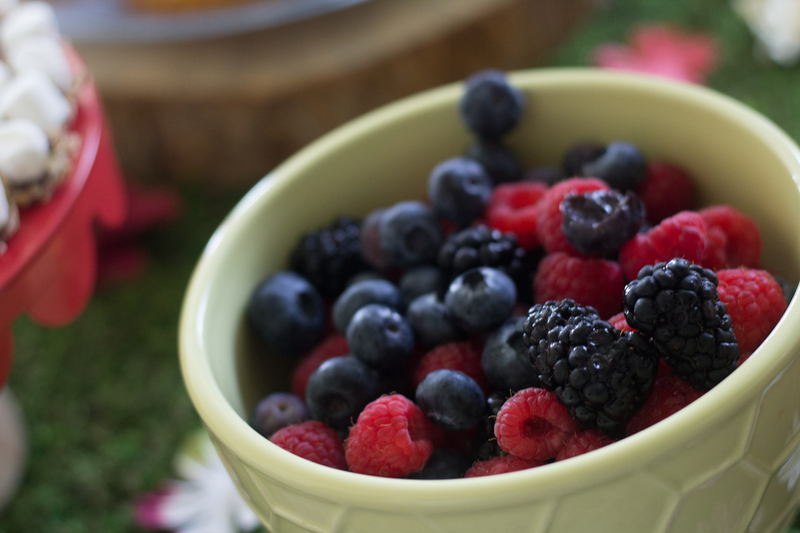 This is just a set up of berries and Greek Yogurt. 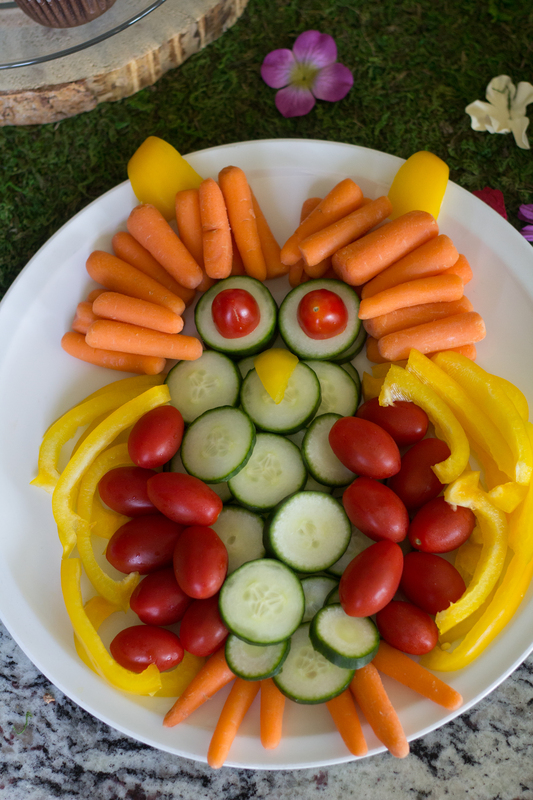 This Veggie Owl..is much harder than it looks to put together. I saw this on Pinterest and figured it would be easy. HAHA, wrong..I was so wrong. 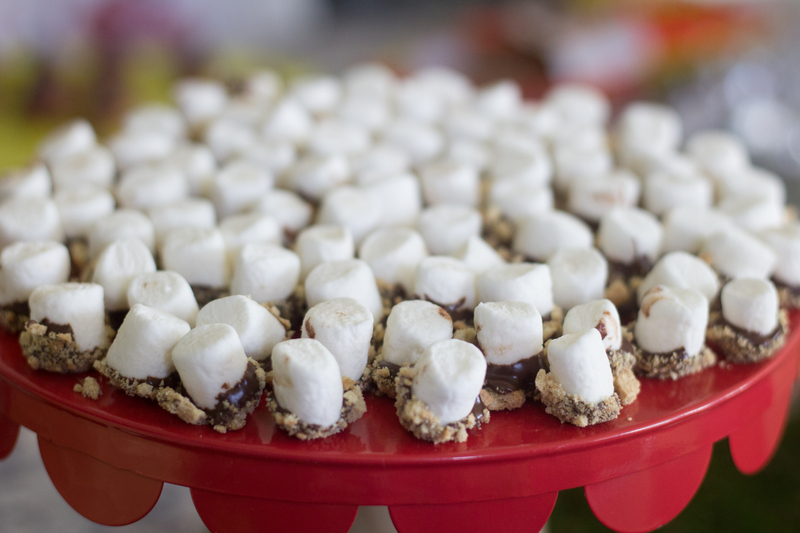 Smore Bites! Back in 2014, I made these for my friends’ bridal shower. 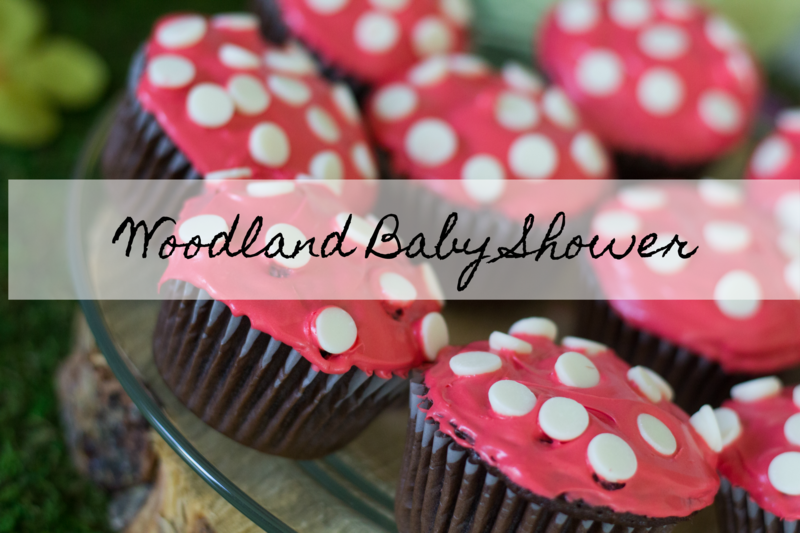 They were a hit and I decided to bring them back for this woodland shower. They are so easy to make. 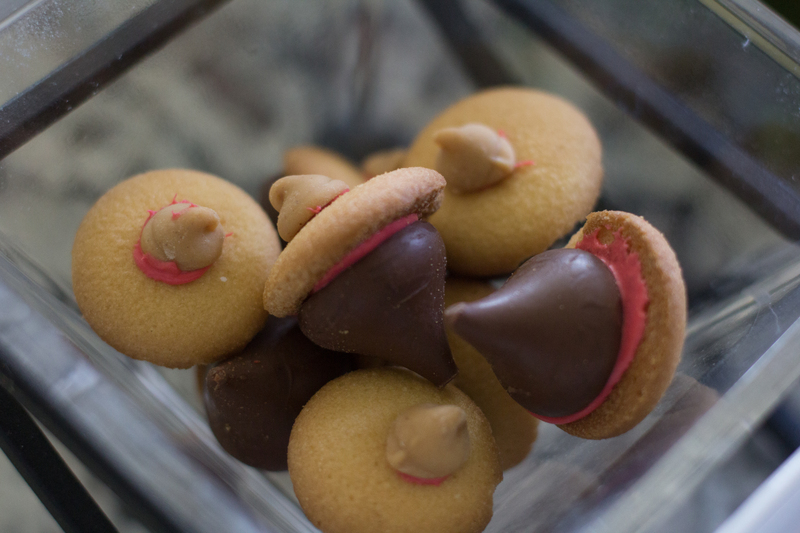 Dip Marshmallows into melted chocolate and roll them in graham cracker dust. So easy, so fast and so yummy. 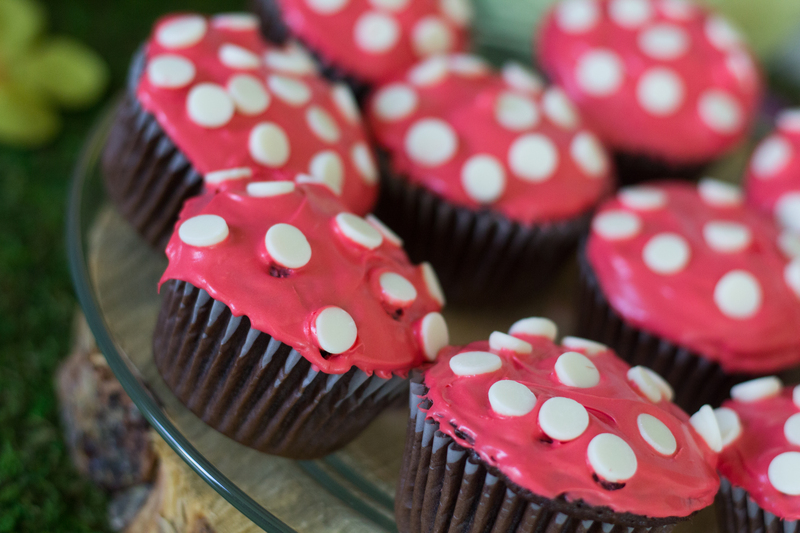 These Mushroom cupcakes and little candy acorns were made by my very talented sister. She did such an amazing job and they were absolutely delicious. Favors are not required but they are always fun. Instead of just a treat to take home or a gift I wanted to offer them a Trail Mix Bar. They can add what they want and take it home. I got these buckets and serving spoons from Amazon for under $20. For the trail mix, you can get peanuts (granola if allergies), raisins, marshmallows, M&M’s, almonds etc. 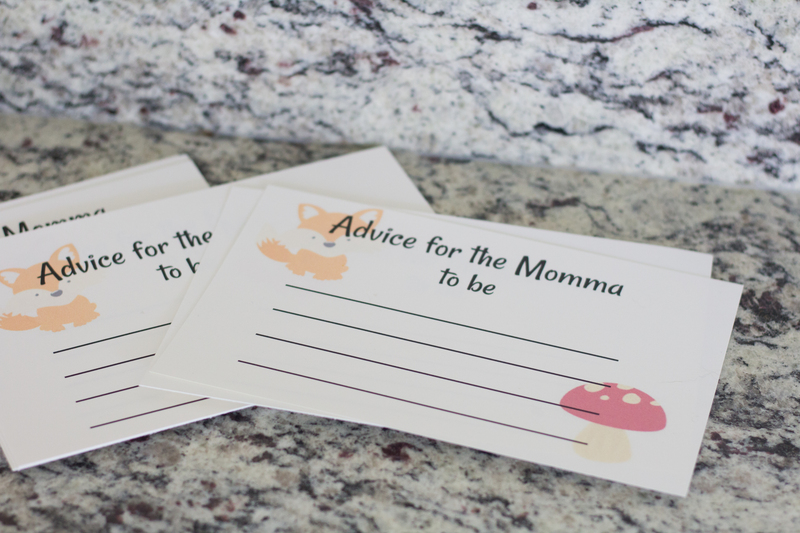 I also did a little advice corner, where the guests could write down advice for the new parents. How do you plan parties or showers? 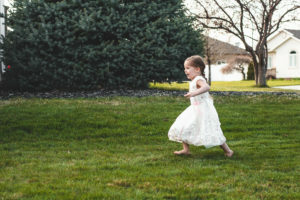 What are some tips for making the process easy and stress-free? Sooooo cute! 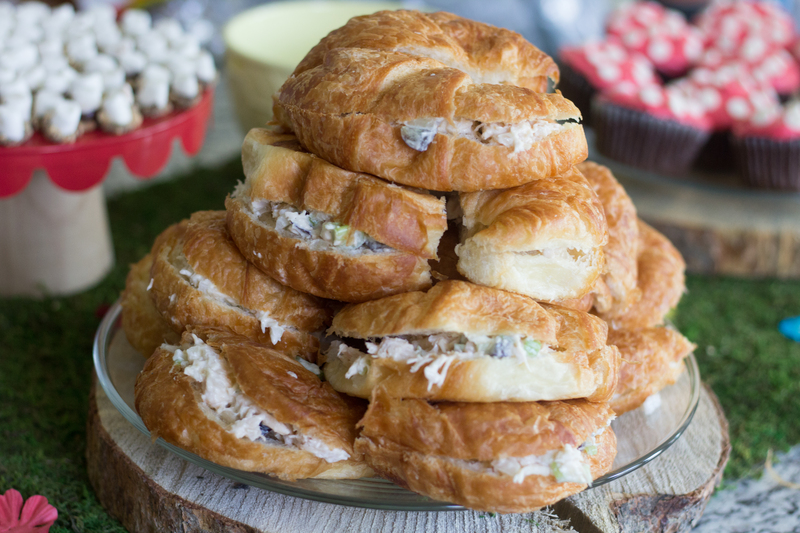 I want to try that chicken salad sanwhich recipe! Sounds Delish!!!! 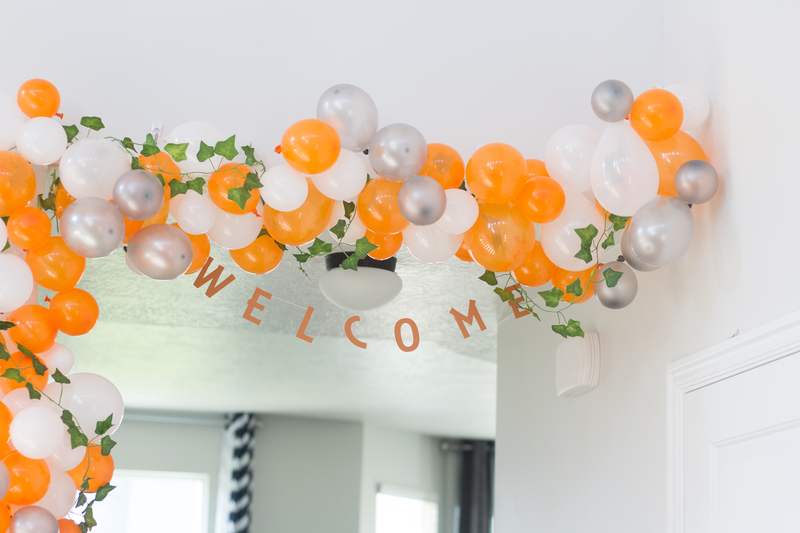 And um, that balloon garland thing……AH-MAZ-ING! Holy crap! A million high fives!!!!! I may have to borrow your ivy for Keira’s first birthday. I wish I’d known your party includes creatures in the theme. I still have the cardboard animal cut outs from Kendall’s Enchanted Forest party. This all looks darling! 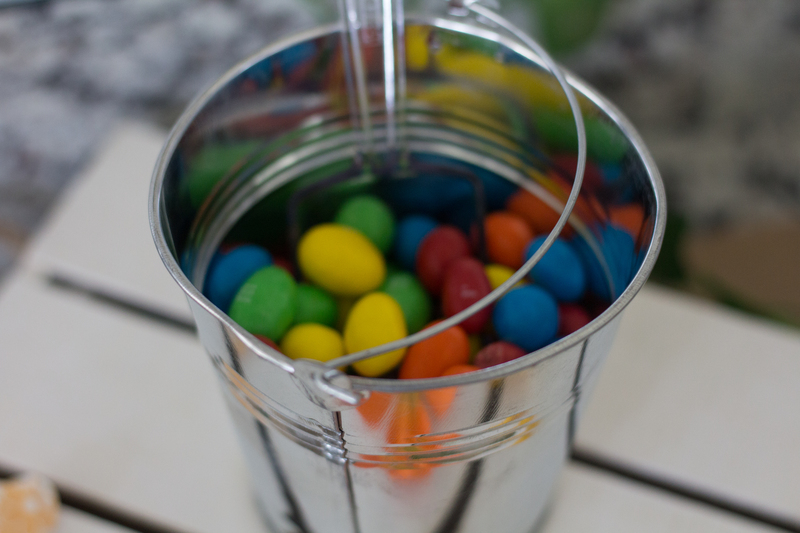 The trail mix bar is a fun addition to all the other shower foods as well. Seriously all so great! Well done Cayli!!! Absolutely you can borrow the vines I can put them with the stuff you lent to me I have 12 vines so you can use them, and the buckets what ever you would like. 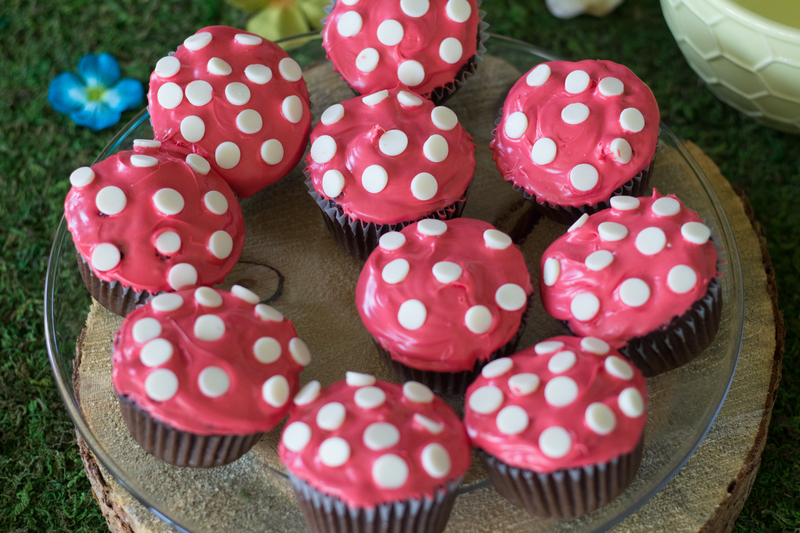 Are you doing the Enchanted Forest party for Keira’s first birthday? Absolutely adorable! 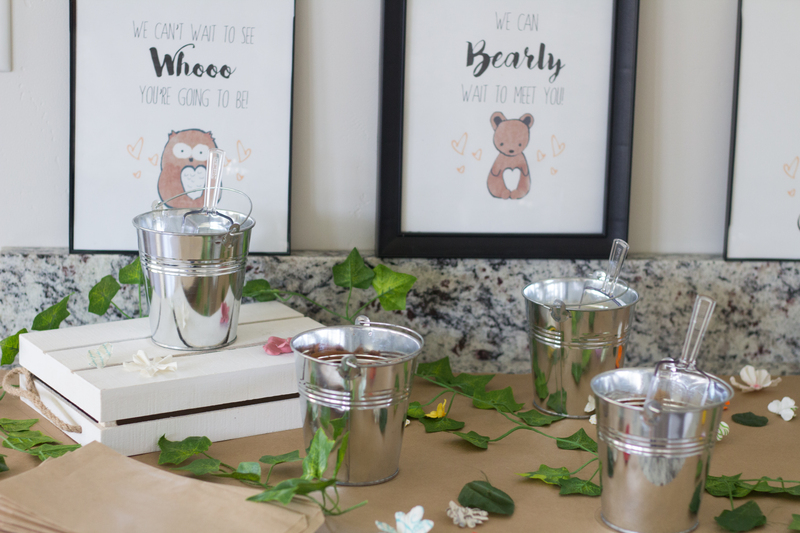 Everything, from the invites to the food to the decor…just so cute! Featuring when my party opens up. Thank you for sharing!